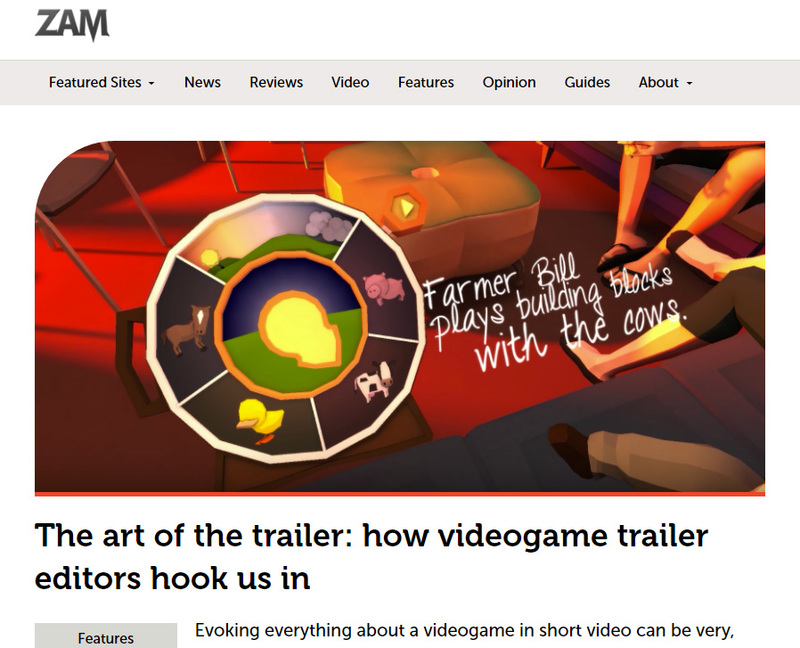 ZAM published an article about the trailer-making craft that featured a lot of input from myself and Derek Lieu. The article highlights my production goals for That Dragon, Cancer’s trailer — and how that informs the importance of emotional journey. You can also a lot out of what Derek says about his production of the Firewatch trailer, and some deep insights from Kuldeep Shah. Check it out.